During the winter, it is often necessary to share the road with snow plows, making car accidents in Iowa more likely, especially for drivers who do not know how to drive around them. When you think about the sheer size of the plow, the decreased visibility that they provide motorists while they are working and the aggression that many drivers use while driving, it is easy to see why these winter conditions create many accidents on the road. Many people make the mistake of tailgating the snow plow. This method is not going to get you to your destination faster – in fact, if you are involved in a crash, you will be even further delayed. Give yourself and the plow plenty of room. The operator of this large snow removal truck is attempting to clear the roads to make them safer for everyone on them. Unfortunately, he has many blind spots, making it necessary for you to display even more caution than you normally would on the road. You need to make sure the operator sees you or that you have enough time to react to his actions. 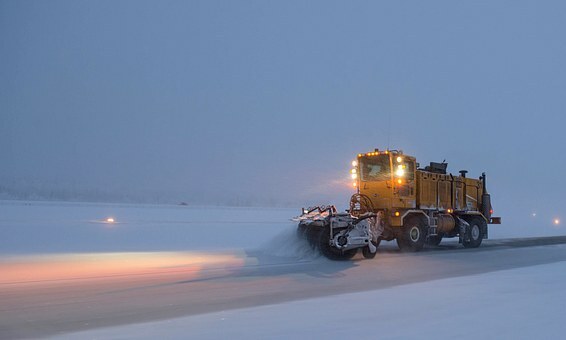 The paths that snow plows make can decrease your visibility while they are working. The large piles of billowing snow behind the truck make it very difficult to see. Rather than driving right near the plow, slow your pace down to allow him to get a head start. This will help to increase your visibility and allow you to take advantage of the benefits the plow is providing. Always drive with your headlights on as well – even during the daytime, snow decreases your visibility and if you use your headlights you will help yourself see better. If the route you normally take is very congested and you notice that the plows are out, try to take an alternate route. This will help you avoid the risk of a car accident in Iowa as a result of the action of a snow plow. It is very hard to react quickly to actions in the snow and if you are not prepared for a large truck to suddenly stop or turn around, it could prove to be detrimental for you and those around you. An Iowa personal injury attorney is knowledgeable about all types of injury laws and they are your best bet when dealing with the effects of a car accident. Don’t suffer from injuries from a car accident without the help you deserve. Contact a personal injury attorney at Walker, Billingsley & Bair by calling 641-792-3595 or contact us online. Our firm can answer any questions you may have and will work with you to help you claim the compensation you deserve. You can also order our FREE book for Iowa accident victims, The Legal Insider’s Guide to Iowa Car Accidents: 7 Secrets to Not Wreck Your Case, by clicking on this link or calling 641-792-3595.